The “ability to apply knowledge and operate machines used in different stages of the cross-laminated timber (CLT) and Glulam production processes” was identified as a priority skill area in the 2017 Forest and Wood Products IRC Skills Forecast (see page 38). Skills Impact and the Timber and Wood Processing Industry Reference Committee (IRC) will take this project through a process that adheres to the 2012 Standards for Training Package Development. This project will review and update units of competency relating to cross-laminated timber (CLT) and Glulam production, to incorporate the skills and knowledge that is required to operate machinery, so all job functions are accurately described. Growing building construction activity and use of timber as the dominant structural material has been a notable driver for timber products demand, particularly the new generation of engineered wood products – cross-laminated timber (CLT) and Glulam. Capital investments in new processing and manufacturing plants for CLT and Glulam have also increased, requiring specific skills to operate machines and Computer Numerical Control (CNC) equipment and to manage different stages of the production processes. Managers, supervisors and operators in engineered timber products manufacturing. The review and improvement of twenty one (21) units of competency from wood panel products, timber processing and forest industry sustainability qualifications to update specific skills and guided by industry consultation. Development of up to eleven (11) new units of competency in the FWP Forest and Wood Products Training Package to incorporate skills for the full range of process and machine operations and management of production for CLT and Glulam. New units will also be developed for cross-laminated timber (CLT) and Glulam production, as identified through industry consultation. Development work to update units of competency relating to cross-laminated timber (CLT) and glulam production has begun with a review of units of competency from the FWP Forest and Wood Products Training Package. Advice was provided from the Technical Advisory Committee (TAC) members on job roles and skill requirements related to manufacturing of solid engineered wood products (CLT & Glulam). Industry feedback was sought on 21 units of competency, for how they could be improved without impacting timber and wood panel manufacturers with similar processes and job functions. 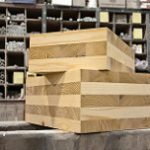 Design, production planning, Computer Numerical Control (CNC) machining and lamination operations are processes involved not only in the traditional manufacturing of some timber products but also in the CLT/Glulam manufacture. New units were developed, in conjunction with the Prefabricated Building Systems Project, for high-level design of timber building systems, off-site manufacturing and on-site installation. Feedback from stakeholders indicated that the highest skill priorities for businesses lie at the interface between CLT manufacturers and the designers who are unfamiliar with working with CLT panels. Facilitating consultation for a related project, initiated by the Furnishing Industry Reference Committee (IRC), for reviewing units of competency regarding CNC operations in highly automated manufacture processes such as those similar to timber manufacturing. Feedback from stakeholders suggested that the current units of competency in the FWP Training Package for CNC operations are very basic. A close analysis also indicated that these units were based on the MSF – Furnishing Training Package. Stakeholders noted that the manufacture of non-linear or curved Glulam could emerge in Australia over the next years and the FWP Training Package does not cover this job function. There is no company currently producing curved Glulam in Australia and as such the job roles are not fully understood. Therefore, the project team proposed that the issue be added to the feedback register for follow up with the possibility it maybe a potential new project in the future. The new units have been developed in conjunction with the Prefabricated Building Systems Project in the area of design, manufacture and installation of timber building systems, involving Cross Laminated Timber (CLT) and Glulam among other components. The existing units of competency have been revised to meet the skill needs for CLT/Glulam operations while maintaining their suitability for all other users and timber manufacturing sectors. The draft units have been developed in consultation with a Technical Advisory Committee (TAC), made up of workplace experts and industry, with input from their networks also. Advice was provided from the TAC on job roles and skill requirements in the manufacturing of solid engineered wood products (CLT & Glulam). Due to cross over of many of the skills being reviewed, consultation activities for this project have taken place concurrently with the Prefabricated Building Systems Project. Twenty-one existing units of competency have been revised to meet the skill needs for CLT/Glulam operations while maintaining their suitability for all other users and timber manufacturing sectors. Workplace health and safety requirements in the performance criteria have been updated, the intent of the units and assessment requirements have been clarified and the range of products in some units have been expanded to include cross laminated timber. Thank you to those who participated in the validation process for the final draft units of competency. The final drafts were made available for broad stakeholder validation and comment on this webpage, from 3 – 16 September 2018. The final drafts will shortly progress through to the Finalisation stage of the project, which includes quality assurance of the documents and review and feedback from the State/Territory Training Authorities, before the final drafts are forwarded to the Timber and Wood Processing Industry Reference Committee (IRC) for consideration and sign off. They will then be submitted to the Australian Industry and Skills Committee (AISC) to consider and approve for publication on training.gov.au. The draft units have been developed in consultation with a Technical Advisory Committee (TAC), made up of workplace experts and industry, with input from their networks. Advice was provided from the TAC on job roles and skill requirements in the manufacturing of solid engineered wood products (CLT & Glulam). Due to cross over of many of the skills being reviewed, consultation activities for this project have taken place concurrently with the Prefabricated Building Systems Project. Views were also sought on the placement of the new units within qualifications from the FWP Forest and Wood Products Training Package. It is proposed that the new units are listed as electives on relevant frame and truss qualifications (see table below). Once industry has validated all final drafts they will be submitted to the Timber and Wood Processing Industry Reference Committee (IRC) for consideration and sign off. After final quality assurance of the drafts, they will be submitted to the Australian Industry and Skills Committee (AISC) to consider and approve for publication on training.gov.au. 21 revised units of competency, related to timber product design, production planning, Computer Numerical Control (CNC) machining and lamination operations. 4 new units, in the area of design, manufacture and installation of prefabricated timber building systems (developed in in conjunction with the Prefabricated Building Systems Project). Note that the units developed out of the Prefabricated Building Systems Project were also approved as part of this Case for Endorsement. 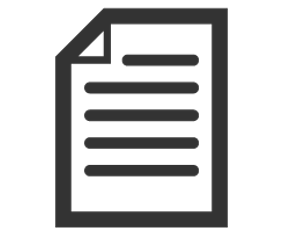 The final drafts were made available for broad stakeholder validation and comment on this webpage, from 3 – 16 September 2018, under the ‘Validation’ menu above. Prior to this the draft units of competency underwent broad stakeholder review, from 6 – 27 August 2018, under the ‘Drafts Available’ menu. Under this menu, you can still view the drafts, including any comments that were made on them from people using the feedback hub. Feedback was also received via other engagement methods. A description of how this feedback was considered and applied in the final drafts can be downloaded via the ‘Download Summary of Feedback, Responses and Actions’ button. The draft units have been developed in consultation with a Technical Advisory Committee (TAC), made up of workplace experts and industry, with input from their networks. Advice was provided from the TAC on job roles and skill requirements in the manufacturing of solid engineered wood products (CLT & Glulam).